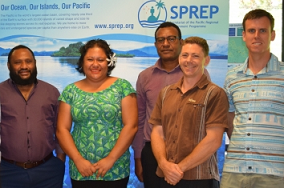 Environment colleagues from Papua New Guinea and Samoa participated in a South-South knowledge exchange on managing environment data. Discussions focussed on open data and how each country manages and uses environmental data. The South-South Exchange took place at SPREP from 1-5 April 2019. Click on the link below to read the full article.